Founded by John Lundin in 2008, Bluewater Distilling is located in Everett, WA about 30 minutes drive north of Seattle. In October 2018, Lundin released Wntersun Aquavit, the newest addition to the Bluewater line of spirits. Aquavit is a traditional botanical spirit from Scandinavia which is primarily flavored with caraway and or dill. Nose: Very pleasant nose of caraway, supported with light notes of anis and orange zest. Palate: On the palate, the aquavit is very soft and smooth as it coats your tongue. The flavor starts with a burst of caraway followed by a round anis note and a hint of bright citrus. Finish: The finish is long and subttle with sweet star anis and orang peal. Conclusion: Wintersun is a subtle and well balanced aquavit that would be a good introduction for anyone unfamiliar with the category. Wintersun works well with dry vermouth as a substitute in a vodka martini, and could appeal as a botanical spirit for those not fond of juniper. 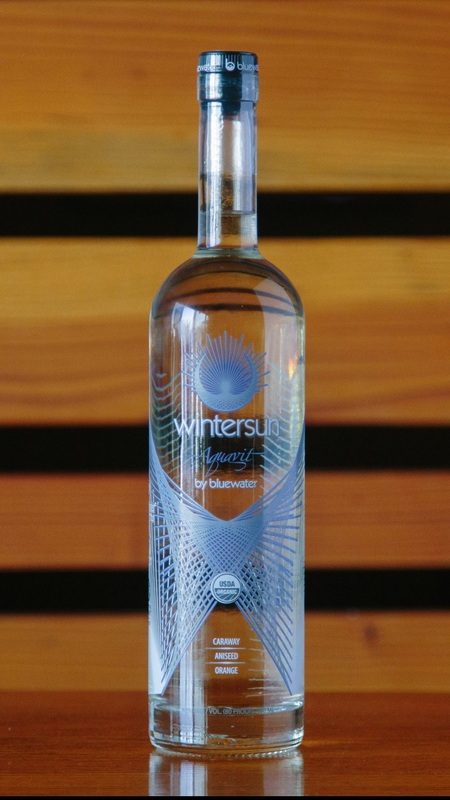 While my personal preference gravitates towards aquavits with a more intense caraway character with no anis, Wintersun does a great job of creating a balanced spirit that stays true to the the category. In 2007, when the American Distilling Institute held its first annual spirits competition there were less than 100 craft distilleries in the US and the Judging awarded just 12 medals. Eleven years later the number of craft distillers in the US has grown over 1000% and the number of small and independently owned distilleries are multiplying around the world. ADI’s Judging of Craft Spirits continues to track this growth and the maturing of our industry, receiving 1003 spirits from 16 countries spread across five continents. Of those entered, 9 spirits earned Double Gold Medals, 58 earned Gold Medals, 223 earned Silver Medals and 434 earned Bronze Medals. The mission of the ADI competition is to promote excellence where it is found and help distillers hone their craft by providing unbiased feedback from our expert judges. With these goals in mind, the Judging runs a blind competition where each entry is evaluated solely on quality of the spirit in the glass. Seasoned stewards spend 5 days, sorting and flighting spirits by class, category, and sub-categories, taking into consideration factors such as ABV, intensity, and length of maturation, if any. During the two and a half days of our competition, the 10 panels of four judges were asked to evaluate about 50 spirits a day, about half the rate of other competitions. We do this to mitigate against plate fatigue and to give them time to give constructive feedback about each spirit. Each year the competition offers an interesting insight into the current market of craft spirits. Whiskey remained king in total number of entries comprised mostly of bourbon, rye and malt whiskeys. However, the number of whiskeys finished in a secondary cask from craft distillers has increased substantially. 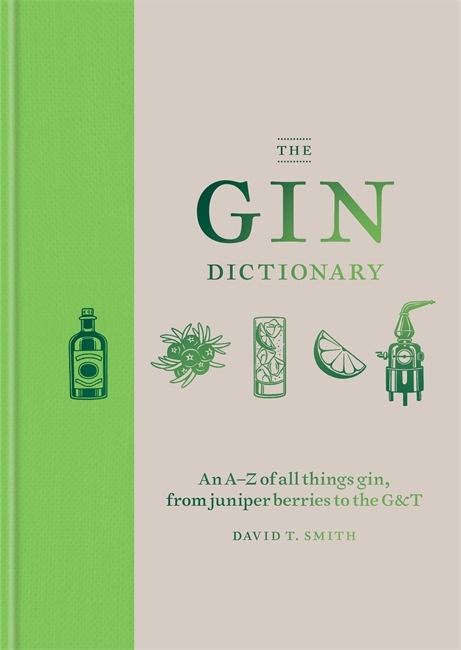 For the second year running, gin replaced vodka as the second largest class overall, with aged gin accounting for almost 20% of all gin entries. And, as may have predicted, brandy is making a significant comeback. In 2018, the number of brandy entries grew by 366% over 2017! A few other small categories, such as honey spirits and spirits made from agave syrup also grew. One of most surprising declines came from Moonshine which shrank by 60% compared to 2017. Of course, it hard to know if the number of moonshines in the market are decreasing though at a minimum it seems like the marketing of some of these are shifting from moonshine to corn whiskey, for those that qualify, and from flavored moonshine to liqueurs. 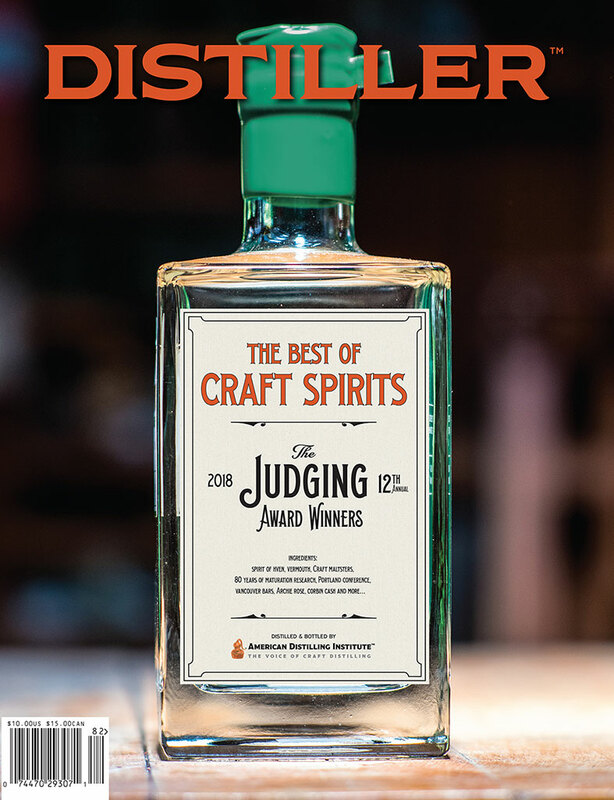 As always, ADI is grateful to the stewards, judges, and all those who entered who have made the Judging of Craft Spirits the worlds largest spirits competition dedicated to craft spirits. A full list of the 2018 awards can be found here.